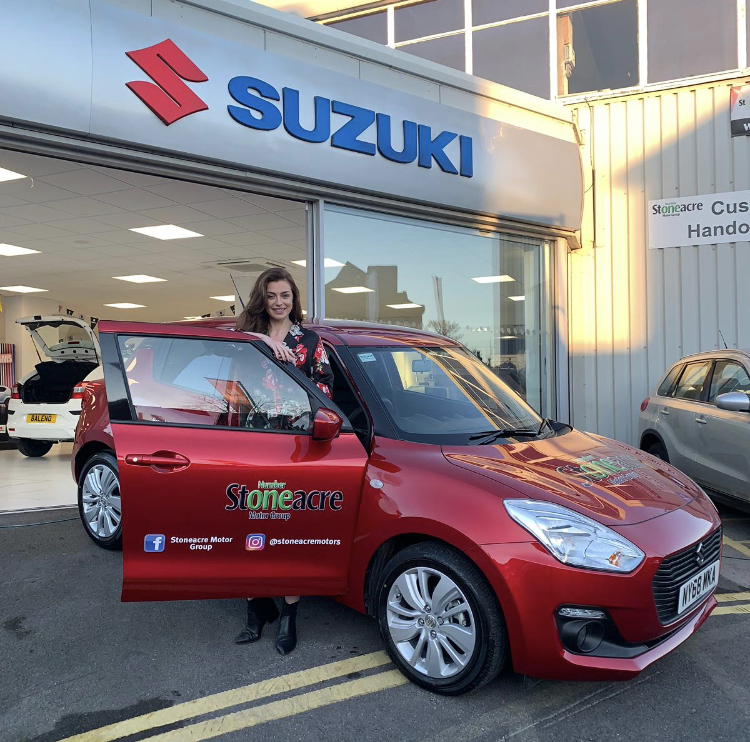 Alisha Cowie, a 19-year-old student from Newcastle who represented England at Miss World in Sanya China in December, will be driving a brand new Suzuki Swift car during her reign as Miss England, thanks to Stoneacre Motor Group Middlesbrough. On Wednesday 23rd January 2019, Stoneacre Motorgroup of 220 Marton Rd, Marton-in-Cleveland, Middlesbrough presented Alisha with a brand new car to drive so she can arrive in style to her Miss England assignments. Designed to turn heads, it’s the ideal choice for the style conscious like Alisha who is a part time model with Tyne Tees Model agency. A spokesperson for Stoneacre said “We are delighted to be partnering with Alisha Cowie and the Miss England campaign. With Alisha being such a great patron of the North East, and also an enthusiastic student at the local Teesside University, this only helps strengthen the unity between the two parties.